The 8526 series is a hermetic receptacle connector with bayonet coupling system according to MIl-C-26482 series II standard. 8526 connectors are designed to be used in military and aerospace applications. 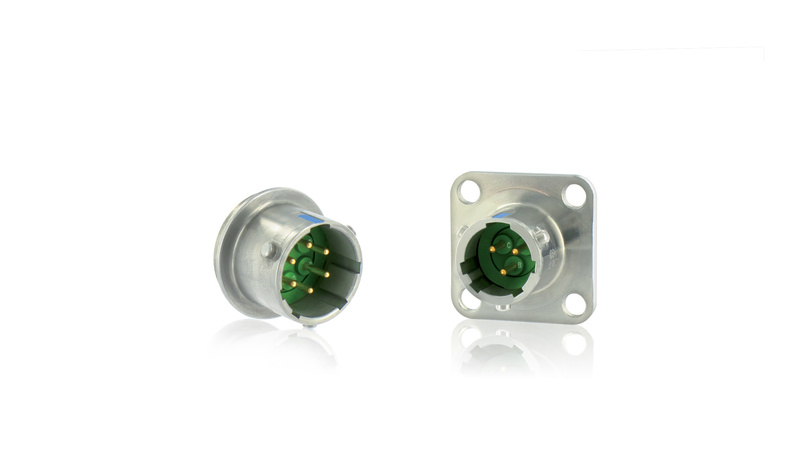 The hermetic receptacle connector with tin plated steel housing and bayonet coupling interface allow quick mating. The plated steel housing is designed to withstand harsh environmental conditions. 8526 connectors are available in solder flange for compactness and hermeticity, in square flange configuration for easy installation and in jam-nut for easy replacement.